The company’s own source material provides an easy way to do it. 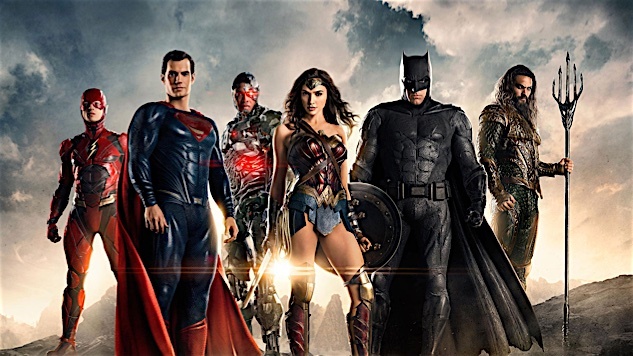 Whatever the current iteration of the DC big screen universe has going for it—and I’d challenge you to find someone who can list more than a handful of positives—the baggage lugged around by the Snyderverse (or Murderverse, or Marthaverse) drags down all but the Patty Jenkins-est material. Negative #1: Superman is mostly gloomy, super-angsty and didn’t embrace the role until he was some Jesus-y age. Why is this a negative? : Superman is basically the idealistic equivalent to Captain America. His innate sense of what is right and wrong, and an uncanny ability to find the way through even the thorniest situation without betraying his ideals, is basically an additional super power both Supes and his Marvel counterpart have. Compare Henry Cavill’s Superman with Chris Evans’ Captain America and tell me which is truer to the source material. Negative #2: Superman kills, and fully participates in situations that allow boatloads of people to die. Why is this a negative? : See #1. Granted, it was the hack writing that created situations that made it hard to give Supes an out, but saving the innocent and not killing his enemies is Superman 101 for both the Man of Steel and those writing him. Fail that test, and you’ve already failed the course. Negative #3: Batman is old and at the end of his career. Why is this a negative? : DC as a whole has a bit of an end-game problem with storylines. Frank Miller’s Dark Knight, the Death of Superman, even the upcoming Flashpoint for the Flash movie—they are all stories that assume a fully matured universe. The thing is, this maturation is medium-dependent. Sure, comic book fans who had been reading the involved titles for decades jumped all over fresh or alternate takes, but you have to establish that all over again cinematically. (And for goodness sake, stop referring to old Batman as “the Bat.”) Sure, we have plenty of Batman versions out there, but Burton’s and Schumacher’s and Nolan’s versions are part of separate universes—they don’t count. Fox didn’t float the Old Man Logan storyline out off the bat; instead, Logan represented the 9th appearance of Hugh Jackman’s take on the character. Negative #4: Jesse Eisenberg is a scrawny, manic Lex Luthor. Why is this a negative? : Nailing one of the main antagonists for the DC Universe is nearly as crucial as getting Supes, Bats and Wonder Woman right. Joker may be important, but he’s rarely if ever a “world threatening” player like Luthor. And in all his comic and film interpretations, he’s never been a twitchy, partially hinged psycho like Eisenberg plays him. There’s a simple explanation for that: That’s not Lex Luthor. Lex Luthor is a genius. He’s calm, methodical and almost always a few steps ahead (for reasons that make sense). He’s basically Vincent D’Onofrio’s take on the Kingpin, but less rage-prone. What he’s not is everything depicted in Batman v Superman. Get Lex Luthor wrong and you’ve laid a cornerstone that’s already crumbling before the house is finished being built. Fortunately, we’re not talking about a medium in which it’s hard to adjust course, or one where such adjustments necessitate the jettisoning of the whole cargo. I suspect most would agree that Gal Gadot’s Wonder Women is the one thing that has been an unqualified success. Hell, the casting has never really been the problem with the current DCEU—it’s the writing and the unnecessary deconstruction of characters and settings that were never fully constructed in the first place. So banish everything that ails it. Reboot. Tell different stories with better versions of the characters. Take your time, and, most importantly, get it right. I’m all in for a Legion of Doom storyline. I can’t wait to see what Jenkins does next with Wonder Woman. Get the foundation right, and there’s no end to what you can build on it. Michael Burgin is the Movies Editor for Paste. He would give an as-yet unidentified but definitely important body part to see a great Legion of Super-Heroes movie.